TAY Dojo: What is your favorite fighting game and why? Welcome to TAY Dojo, the one and only Kotaku fighting game club where we'll regularly feature tips, tricks, reviews, and general articles related to fighting games, including regular match-planning and, in the future, tournaments! Firstly, I feel the best step would be to get to know the Kotaku community and see just what fighting game you find yourself playing or enjoying the most. My favorite, if the picture did not make it obvious, is Street Fighter IV (and its subsequent Super and Arcade Edition versions). Street Fighter IV marked several things in the fighting game industry, including a comeback for the genre itself as well as a comeback from one of the most popular games in history which had faded into relative obscurity in the years following its peak in popularity with Street Fighter II. Street Fighter IV was meant as a sort of middle ground between an easy fighting game that anybody can pick up and a fighting game with enough depth to satisfy high-level players. It is currently one of the most played fighting games in the entire world thanks to its mass appeal, though this is not quite why I love it so much. 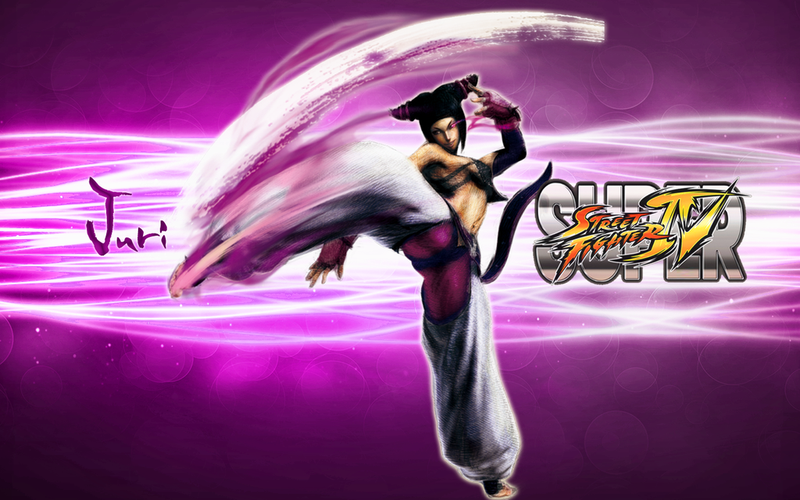 Street Fighter IV oozes personality and style in nearly every aspect. Each of the characters feel distinct not only in their movesets but also in their actions, animations, and visual appearance. You can tell from only one match with a character just what kind of crazy person you're facing, from Turkish oil-wrestlers to Jamaican kickboxers and everything in between. Street Fighter IV never takes itself too seriously, offering lots of humor and extremely unrealistic moves that make the game fun to watch as well as play. This level of personality is repeated throughout every single one of the 39 characters (in Arcade Edition) who even have their own well-composed theme music to boot! On top of the high level of atmosphere, Street Fighter IV has some of the most balanced and well-executed fighting mechanics I've ever seen in a video game. Arcade Edition 2012 in particular has become something like a "matchup game" where there is no "best" character and high-level players often switch around between certain handfuls of characters in order to have the best chance. The actual fighting itself is extremely simple and not unlike Super Street Fighter II Turbo, with six buttons corresponding to three different power levels of punches and kicks respectively as well as a Super meter that you can use for a powered-up attack. Each character has two Ultra Combos as well that can often change the tide of battle if you select the right one, and the only way you can use these moves is once you've lost a certain amount of health, allowing your character to make a comeback or even land the final blow in a blaze of glory, so to speak. While many other fighting games have personality to spare, Street Fighter IV feels like the only one that goes all the way with it (outside of Arc System Works fighting games, of course) and, at the same time, provides a game that is extremely easy to learn but tough to master with the perfect balance between having too many mechanics and techniques and having none at all. That's not to say that I don't love other fighting games quite as much, of course. SoulCalibur, BlazBlue, Persona 4 Arena, and even the other Street Fighter games are very close to IV, but they often lack the same amount of polish that makes Street Fighter IV so appealing to me. So, tell me, what fighting game do you enjoy the most? What makes you love it so much compared to other fighting games?